Tattoos are meant to represent what you feel or what you stand for. And we think having one centered on self-love will remind you to be kind to yourself at all times. Check out these pretty, delicate tatts for ink inspo! Here's a kooky way of telling it. When it was a long journey, but you're finally getting there! A straightforward take, but its cursive style makes it extra pretty. This will push you to hold on even when times are rough. You can do it; have faith in yourself! Every time you'll see this ink, you'll think about your "Why"—your major reason for living. We love the colors and the words' freehand style! This will remind you that you CAN always reach for your dreams. Have encouraging words inked on your fingers. When you're feeling down, always remember that there is an end to every struggle. Stop being so harsh on yourself. 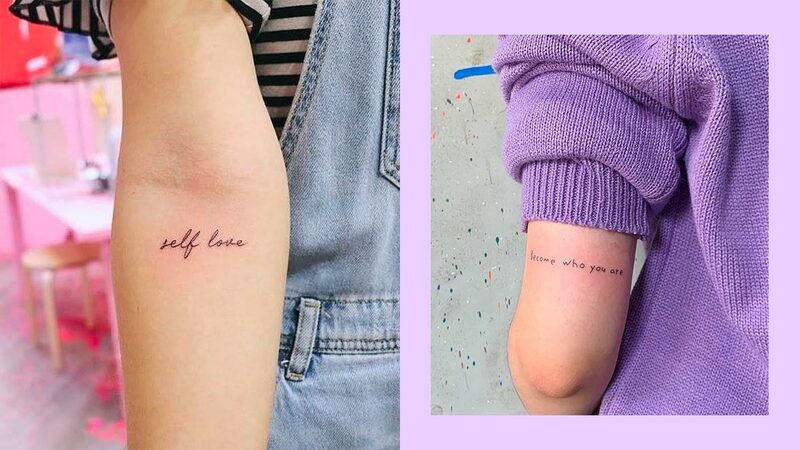 If you have self-love themed tattoos on both arms, you'll never forget about it.